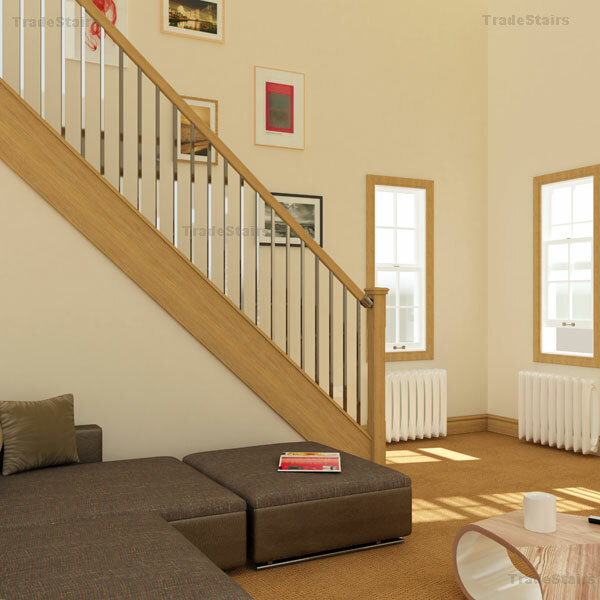 Tradestairs.com the online store for stairs and stairparts. 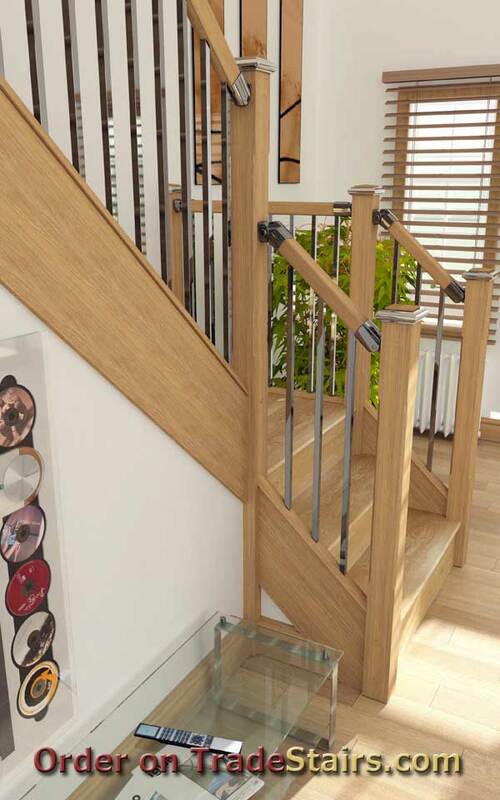 Axxys Squared launched in November 2011 is a new range of stair balustrading components offering a new solution for your new or existing staircase. The Axxys Squared range offers a new contemporary style meeting todays growing demand for a combination of metal and wood with the ever growing demand for square sections over traditional turned or round sections. Axxys squared is now available on our online shop or you can contact us for a quotation, email your requirements to us sales@stairplan.com . 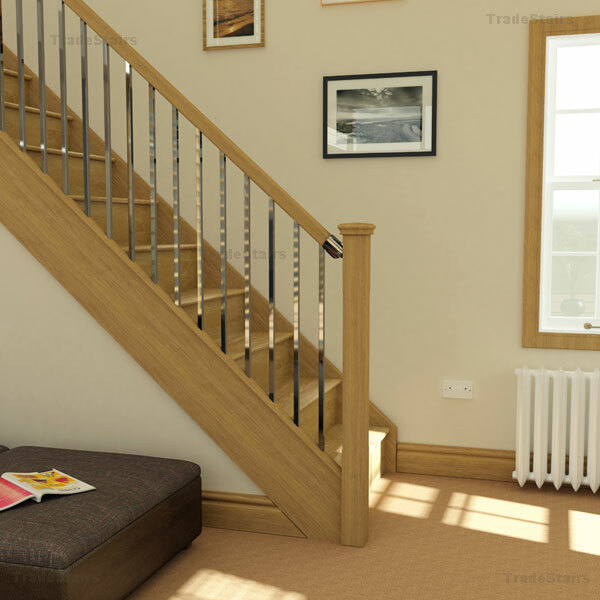 The Axxys squared system is currently available with Chrome fittings and white oak handrail parts but 2 new colours are set to be launched in December - look at Axxys Colours. 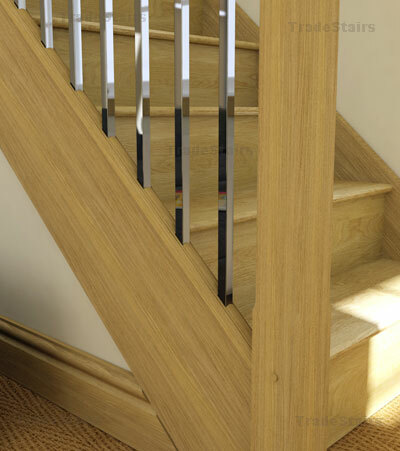 Simple uncomplicated is what Axxys Squared is trying to offer with these square chrome stair balusters with a oak handrail.